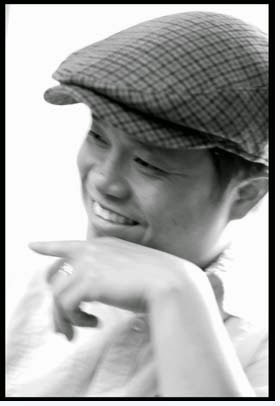 Award-winning author Lac Su will share his personal story of immigration, assimilation, gangs, poverty and abusive parenting at two lectures in the Cañada College Main Theater. The first lecture will be held on Wednesday, Oct. 23 from 6 to 7 pm. The second will be held on Thursday, Oct. 24 from 9:30 to 11 am. Both lectures are free of charge but there is a $2 parking fee. Su will be signing books after the Wednesday evening lecture. Lac Su's 2009 memoir, I love Yous Are for White People, received the top prize from the San Diego Book Awards in 2010. Su describes his experience growing up as a Vietnamese immigrant in LA in the '80s and his personal struggles with assimilation, gangs, poverty, and abusive parents. The story is told with humor and honesty. Su says he was raised by two "tiger" parents, a Vietnamese mother and Chinese father, and he still has emotional scars from their harsh parenting style. As a young child, Su made a harrowing escape from the Communists in Vietnam. With a price on his father's head, Su, with his family, was forced to immigrate in 1979 to seedy West Los Angeles where squalid living conditions and a cultural fabric that refused to thread them in effectively squashed their American Dream. His search for love and acceptance amid poverty - not to mention the psychological turmoil created by a harsh and unrelenting father - turned his young life into a comedy of errors and led him to a dangerous gang experience that threatened to tear his life apart. "Writing I Love Yous Are for White People helped me to cope with the wounds the tigers' claws left behind," Su told CNN in a 2011 interview. "Since its release I've met countless others who bare similar scars." Su, a psychologist and business executive at TalentSmart, said he's been through countless hours of psychotherapy, and that his lack of self-worth beckons him to rely on alcohol to numb the pain. "Children need their parents' love and acceptance in order to develop real self-esteem," he told CNN. "Belittling children sends the message that they are not worthy of love and support -- as do mind games, emotional abuse, and tight-fisted control." Anniqua Rana, professor of ESL/English and co-coordinator of the Cañada College Center for Innovation and Excellence in Teaching and Learning, said Su was invited to campus to share his story because his struggles and experiences are ones that many Cañada students identify with. She said his book raises issues related to history, immigration, political science, sociology, psychology, and parenting.